Two damaged people find love and redemption in bestseller Smith's latest, a heavy-on-the-syrup romance that drafts 9/11 into sentimental service. Cathy Deen is Hollywood's "it girl" until a paparazzi car chase ends in a car fire that horrifically scars Cathy, ending her glamorous life. 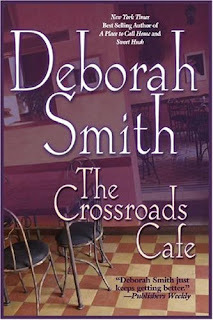 News of the accident soon reaches her hometown in the mountains of North Carolina, where Cathy's cousin, Crossroads Café proprietress Delta Whittlespoon, sees the news on CNN and resolves to get in touch with Cathy. She enlists the help of Thomas Mitternich, a new addition to the Crossroads community who appeared in town four years ago to drink himself through the grief of losing his wife and son in 9/11. Thomas, using his New York contacts, helps Delta get through to Cathy, and after phone calls from Thomas and overnighted boxes of Delta's biscuits, Cathy returns to her ancestral home, where she falls in love with Thomas as they both try to rebuild their lives. 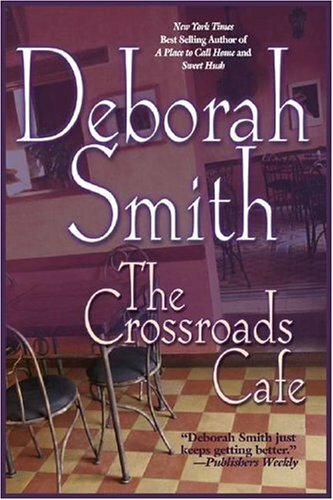 Smith's prose does little to enliven a boilerplate plot, and 9/11 amounts to little more than an easy way to heap suffering on a character. I got my copy from the library so I don't have one to give away, sorry!! oh, hooray! i heart book club! we are reading dracula next-- you know all halloween-y spirit and all. this was a really well done review, thanks!